to the window pane . their full yellow valour are glints . In the Bee Latitudes, ’Annah Sobelman’s second book, traverses and choreographs the places of passion where visible and invisible touch. With extraordinary ability to imagine her way far into an experience, making new moves in the English language at each and every point, Sobelman enlists many voices, questions, and bodies (mostly in Taos and Florence) that press toward Emersonian nature. In vibrant, malleable, and layered syntax, these poems break conventions of lineation and punctuation, each utterance at the frontier of the articulate, yet necessarily pitched toward the insistently visceral. 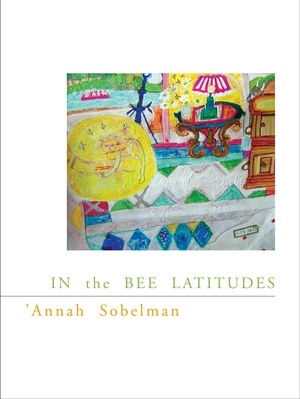 The author of The Tulip Sacrament, ’Annah Sobelman is a poet who has recently returned from living in Florence, Italy, to her home in America.